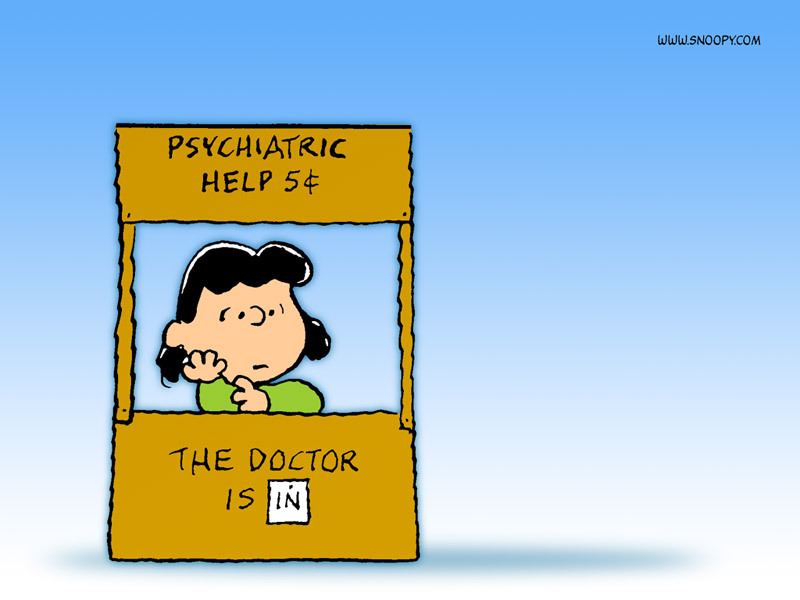 When I was younger I was consoled by the image of Lucy waiting in her shrink's booth, available for advice. I wanted to go to her and I wanted to be her. A win / win situation. I talked to a friend today who works for an arts centre and they are collaborating with the council to try to set up some 'poetry in the community' events. One proposed idea (and my friend was hesitant about it) was to have poets-in-residence in a city park for a day. He asked if I would be interested in taking part. We postulated the ways in which this might or might not work. 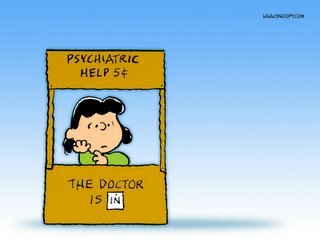 I thought of Lucy's booth and I imagined the concept of a similar poetry booth that read 'The poet is IN'. Random passers-by could sit down with their poetic dilemmas. They could be inspired. Or...they could receive constructive criticism of their first attempts at poetry and get offended. Neds could shout 'poyems are pish man, show us yer baps.' Dogs could lift their leg to pee on the edge of the booth. It could pelt down rain. Through great suffering art might come. But I still don't know if I'll do it. My downstairs neighbour has a new dog called Tilly. I'm quite excited about the possibility of part-time dog friendship. I'll let you know how it goes. The way that you do it?